With four boys running amuck, there isn't a lot of time left over for me to get inspired. Inspired to make beautiful things, decorate my home or cook amazing meals. Being an avid Stumbler has helped out with this problem though. In the last year, I have "stumbled" upon some blogs that have instantly become my everyday reads. These blogs all have unique focuses, but they all focus on a specific interest that I have, or area of my life I wish I could improve in. If you are not currently reading these five blogs, you may want to take a look and get some inspired today! This I guess could be classified as a sewing blog, but it is oh so much more. There are endless tutorials that detail how to made a myriad of beautiful things. One of my favorites is the Sprinkle Shirt tutorial. I have big plans to make these with my boys soon! There is a flair of style in this blog and the tutorials always center around things I would want for myself or my blog. Oh my goodness! Combine delicious food with low calorie recipes and you have a guilt free pleasure that is out of this world! Skinny Taste takes all of your favorite foods and gives them makeovers so that they are healthier for you and your waistline. Check out this Chicken Piccata recipe. Yum! Have you always wanted that expensive home decor item from Pier 1 or the Pottery Barn, but you just couldn't bring yourself to pay that much? Now you don't have to! Knock Off Decor shares tutorials on how to create knock offs of amazing home decor items from some of the hottest stores. I already have plans to get Matt to make me this Mason Jar Chandelier. This girl is simply adorable. I love her blog and it is always my first stop for beauty advice and tutorials. She has some killer hair tutorials and while she does have long hair, I have found that most of them can be adapted for short hair with a little effort. She also posts makeup and nail tutorials, along with a variety of other beauty related advice and information. You want to see two women who rock? Check out sisters Whitney and Ashley as they make something out of nothing. Literally! Check out this coffee table they made for $40! Yep, Matt is going to make that for me too. He just doesn't know it yet. These ladies know how to handle their tools though! There is some gorgeous stuff on this site and the best part is, they keep it cheap and you can make the items yourself! Wow, that is quite an impressive list. 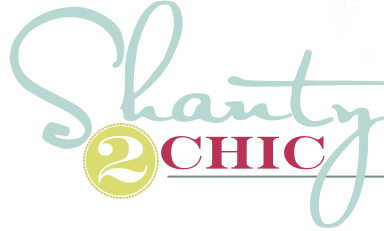 I am going to be stalking Knock Off Decor and Shanty to Chic! Those look like wonderful blogs. I love round-ups like these because I always discover new blogs. And I haven't visited any of these before so I'm off to check them out! Cool, never heard of any of them! I'll have fun checking them all out. I'm loving the home decor blogs lately (can you tell? I've started adding in some of that content to my own!) Great picks! Wow they are very creative I enjoy home decor. Thank you for the list. I am definitely checking these out.